Whether one wants to call it a minibike or pit bike or whatever. Some of the YouTubers I watch rebuilt these funky little bikes, so I figured I’d try my own way of doing something similar in the virtual sense. Trying to find and use references of an early 1970’s model of the “Trail 70”. Often trying to find “blueprints” gets me electrical diagrams instead, which isn’t too useful for this particular purpose. So I’m usually using random pictures gleaned off of various sites and trying to work around perspective distortion. 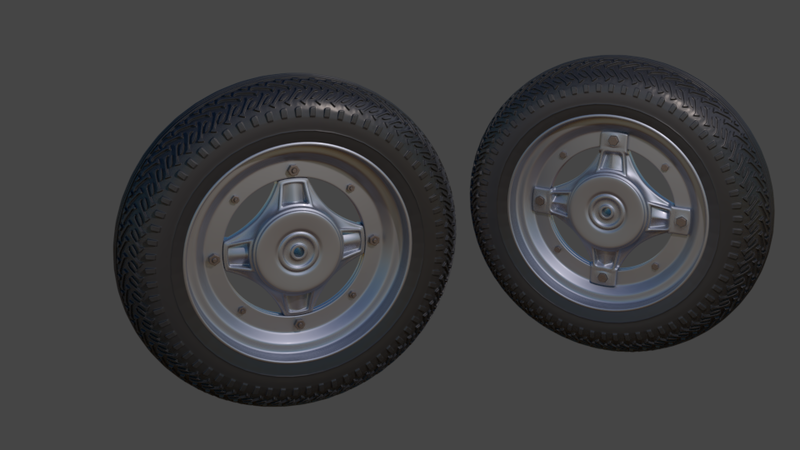 So far it’s just the wheel and tire (mostly) done in regards to modeling. Thus there’s quite a ways to go. Also I’m recording some video of this as it’s modeled. It’s not speed modeling (skip ahead unless you have some hours to kill), but can give an idea of what is involved in this. Some details likely aren’t covered in those videos though, however if for some reason you could copy the results (videos also not meant as tutorials) - figuring that out wouldn’t be beyond you. Hello my friend, how are you? Looks like a nice project to work on, I can see you are putting a lot of work in here (I did skip a bit on your vids)! 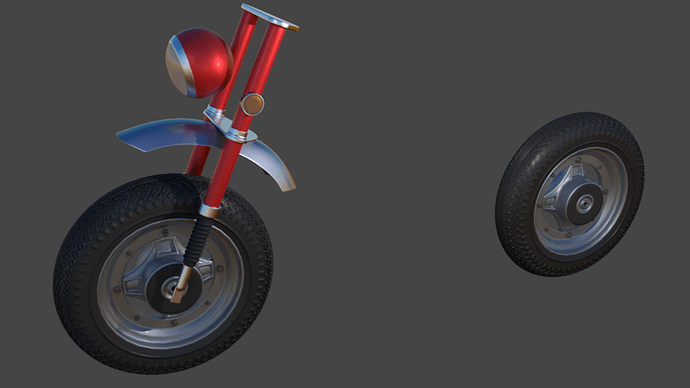 I remember these bikes from my younger days, do you have one? No, didn’t have one. They do seem neat for what they are. Got the idea because some of the YouTube channels I watch restored some. A few more bits on the front wheel and fork area. Just taking time, and I’ll likely go back over in places to add more details.